A secret recipe, a legion of fans, a variety of imitators and the nation’s largest chicken restaurant chain (based on sales). 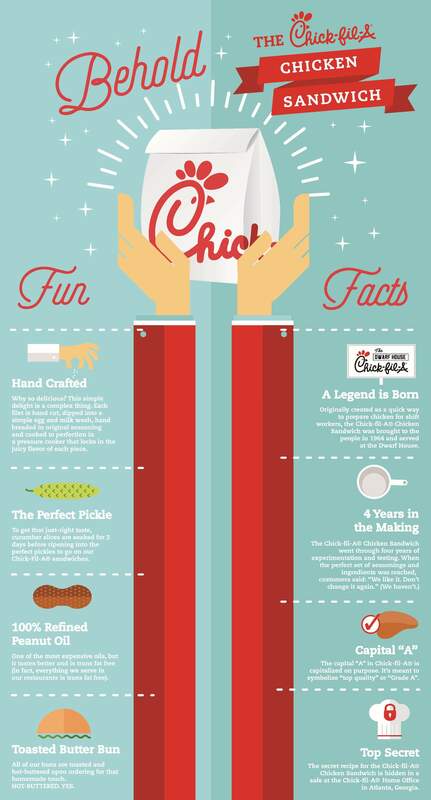 That’s the story of the Chick-fil-A® Original Chicken Sandwich. Restauranteur and Chick-fil-A Founder Truett Cathy began experimenting with the recipe in 1961 and spent years perfecting what is still Chick-fil-A’s number one selling entrée. Cathy’s cooking method is still the way it’s done more than five decades later, and his recipe is still a secret.